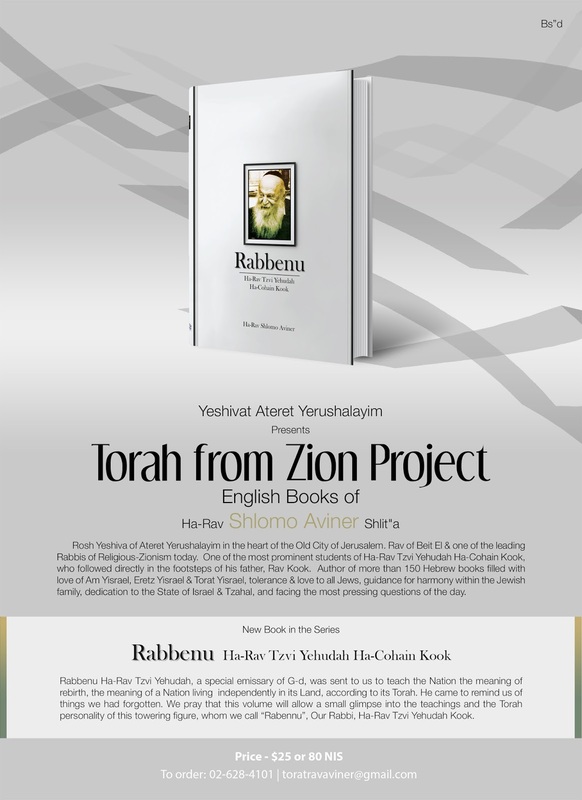 Rabbenu Ha-Rav Tzvi Yehudah, a special emissary of G-d, was sent to us to teach the Nation of Israel the meaning of rebirth, the meaning of a Nation living independently in its Land, according to its Torah. He came to remind us of things we had forgotten. 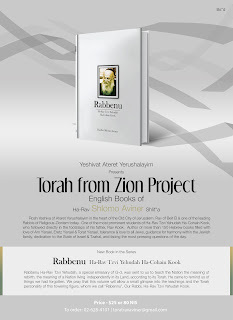 We pray that this volume will allow a small glimpse into the teachings and the Torah personality of this towering figure, whom we call "Rabbenu", our Rabbi.